← Time flies! Already a year since we got Astro! 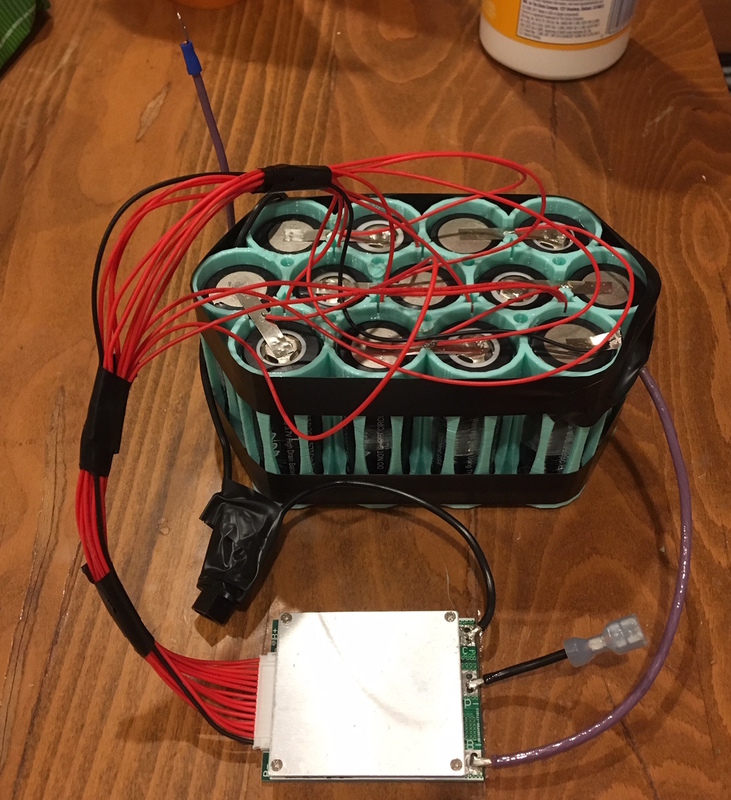 The original pack was a huge 48 V 10 Ah pack. I did not want to decrease the size by much at all and calculated it would need a maximum of 20 A peak out of the pack. I had a number of brainstorming conversations with Erica and my friends David and Ruslan and considered other chemistries (e.g. NiMH), sizes (18650 or 38120) and many brands (Headway and Samsung stood out). It ultimately came down to the cost per watt-hour for a pack that could meet the demands. 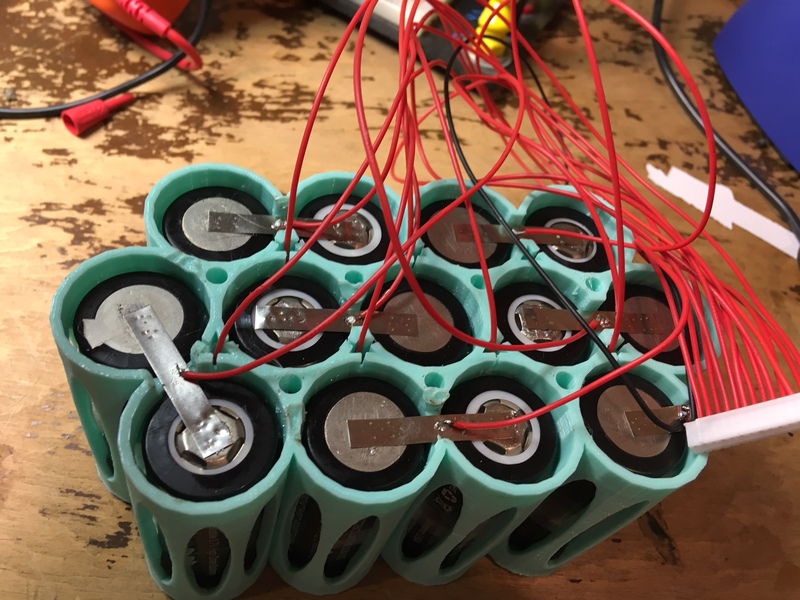 Because of the capacity, had I gone with the 18650 size, I would have had to make a 13s2p (26 battery) pack or even a 13s3p (39 battery) (In case you did not know, the S stands for series and the P for parallel). 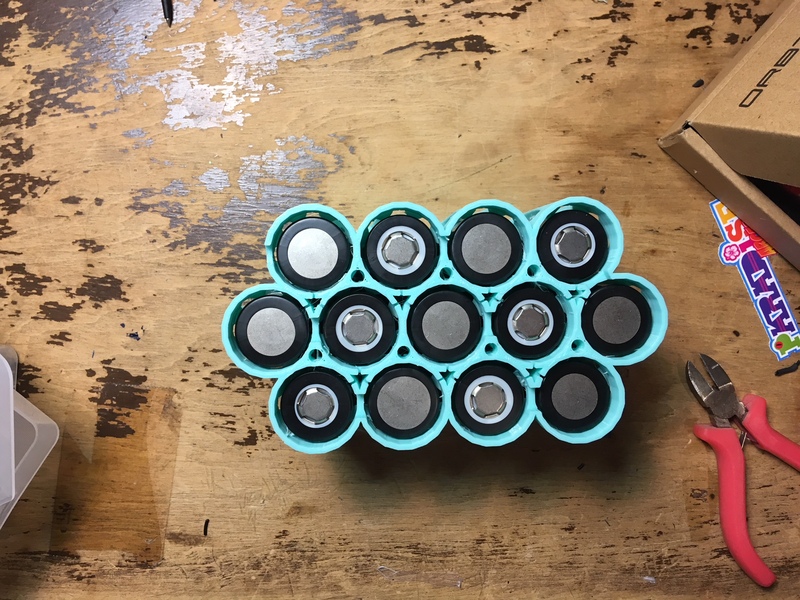 So while the 18650 size batteries were cheap, I would need more. On the other hand, Headway offers nice, bigger 38120 batteries. 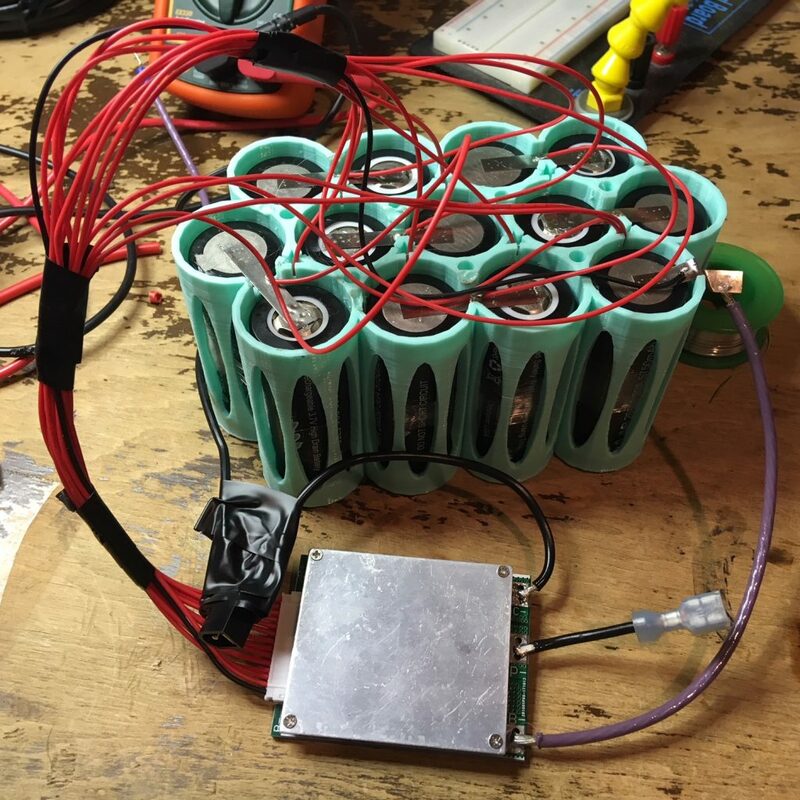 They can handle a huge draw (100 A), charge fast (4 C), and have a large capacity (≥ 10 Ah). They were, however, not cheap, and were also hard to find and usually ship from China, which can end up taking 4 to 6 weeks or more. I ended up going in the middle and picked some high draw (up to 30 A, 20 A continuous) 26650 batteries. They met the 5,750 mAh specification but tested closer to 6,000, which was good enough for me by my math. What sealed the deal was a sale ($7 each, which in a few years might seem high, but now is cheap!) and free shipping from OrbTronic. Added bonus they were a Li-ion Hybrid IMR, so slightly safer and can be abused more. Buyer beware! 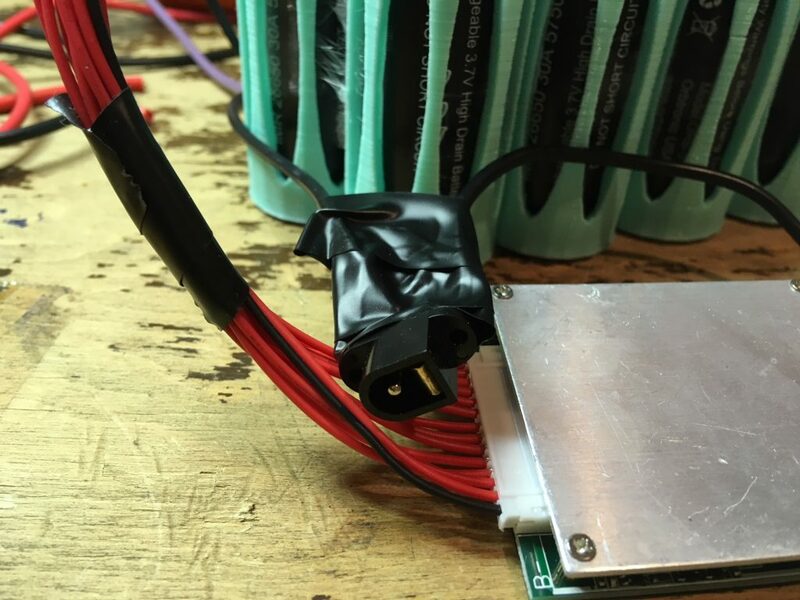 If you see batteries that have crazy capacity or specs that seem too good to be true, they probably are. 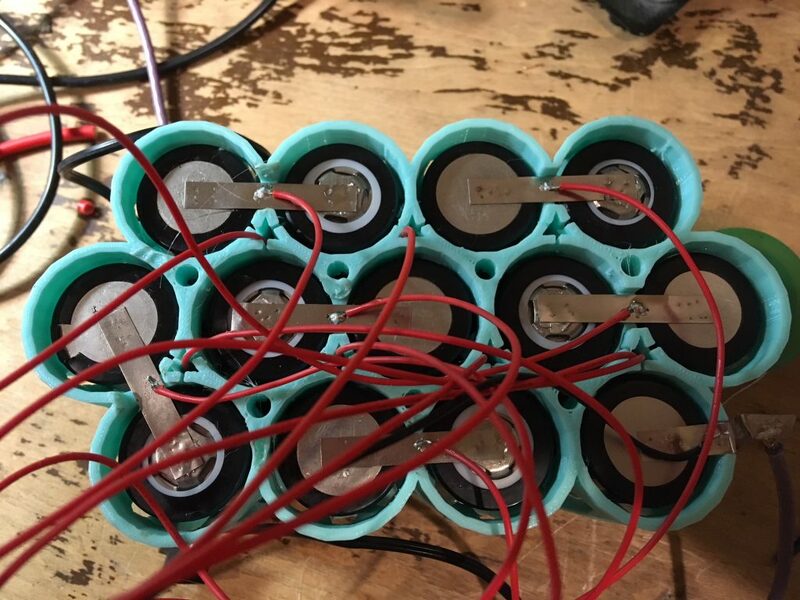 eBay, Amazon and many other marketplaces all have a number of fake or re-wrapped batteries for what seem like great prices. If you see a 18650 battery with a 10,000 mAh capacity, it is almost certainly not real. Often they are just a really cheap sub 1,000 mAh battery with a label saying otherwise. 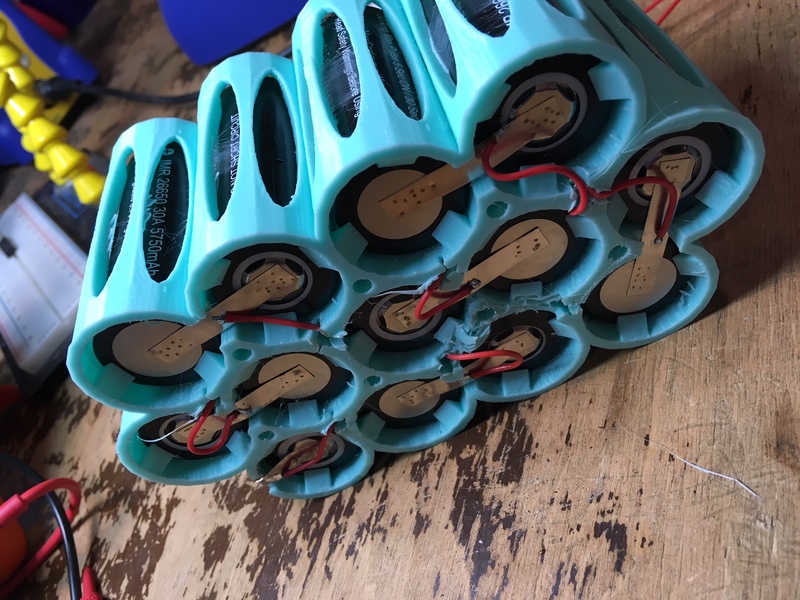 Most high capacity 18650 batteries currently are in the 2,200-3,600 mAh range. So even if battery technology is advancing rapidly, it will not be jumping up much higher then that any time soon. To give you an idea, the highest in 2017 was 3,600 mAh (the NCR18650G), and in 2018 they are predicting we will see a 3,800 mAh cell. 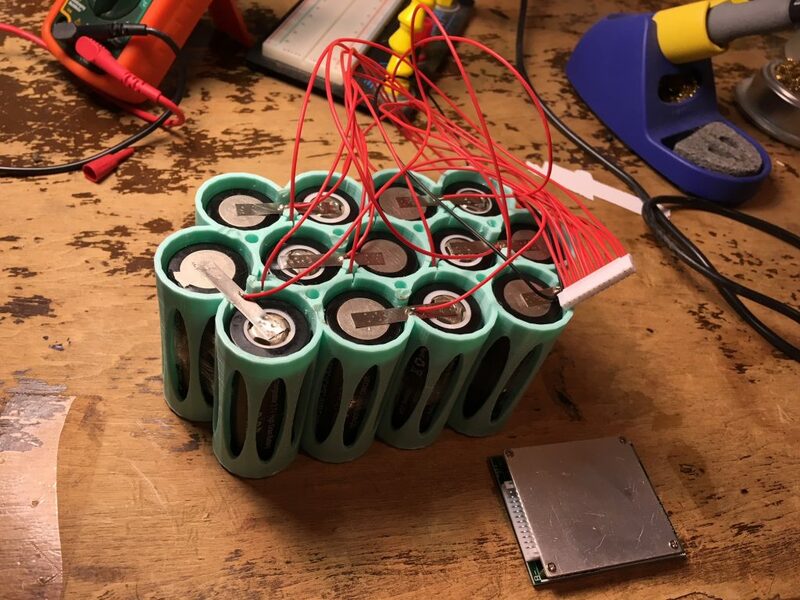 Side Note: If you are not familiar with what battery numbers stand for… the first part is the diameter of the cell in mm the second part is the length in mm times 10. 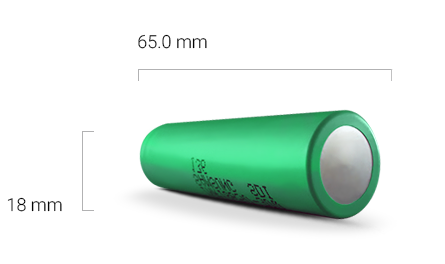 So a 18650 has an 18 mm diameter and is 650 mm long. I knew they would be getting hot, so I did not want to just pack them all together in a traditional pack. I looked around Thingiverse and did not find anything ideal for the 26650 size, so I designed my own using Tinkercad. 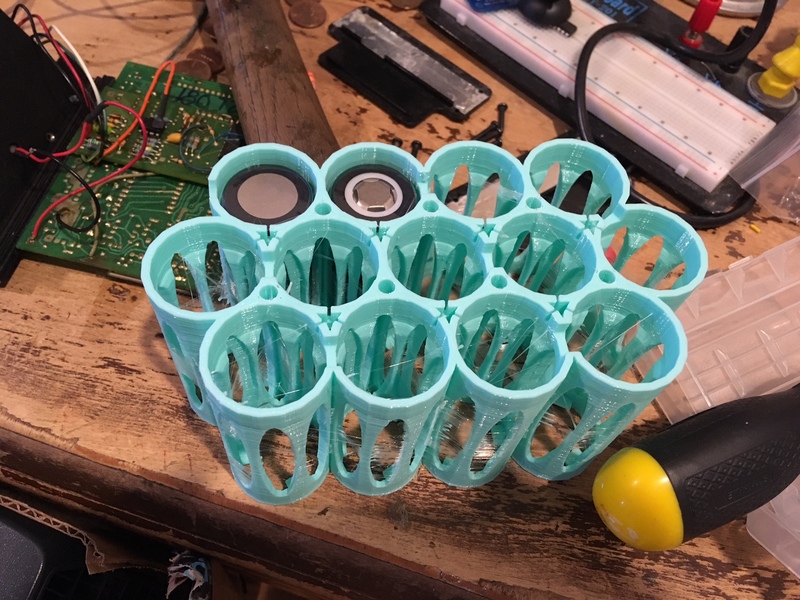 I designed each cell to have some space, and airflow from the top and bottom. It will ideally draw air from the sides and air will be pulled from the top like a chimney. I took steps to prevent incorrect tab assembly and the protected the ends, which would have been prone to shorting out. Finally, I made tubes and paths for the BMS wires to each end along with various mounting holes and spots for 3 mm thread inserts. 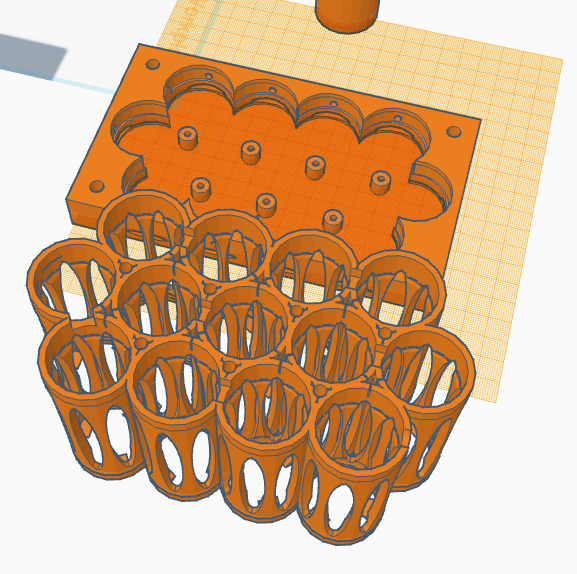 It is a modular design, so if you want to make a bigger or smaller pack you can fairly easily with Tinkercad. You can see and download it here on Thingiverse. 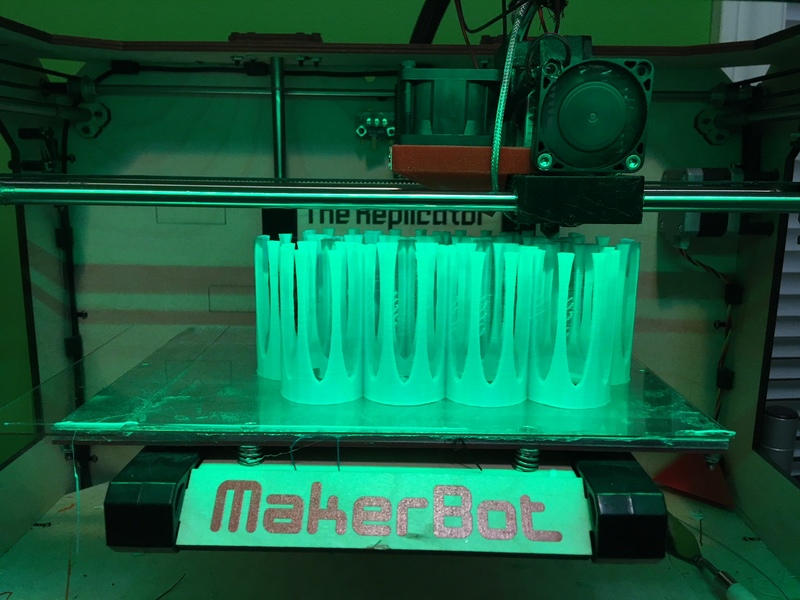 Printing my 26650 13S battery holder. 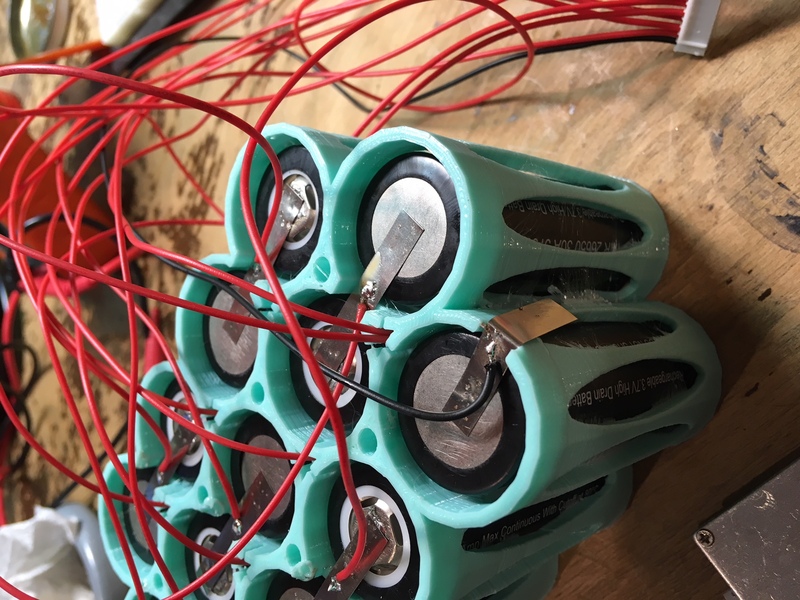 Test fitting a few batteries after the print. All 13 batteries in place, ready to weld. A Battery Management System (BMS) is absolutely required with any Li-ion battery. 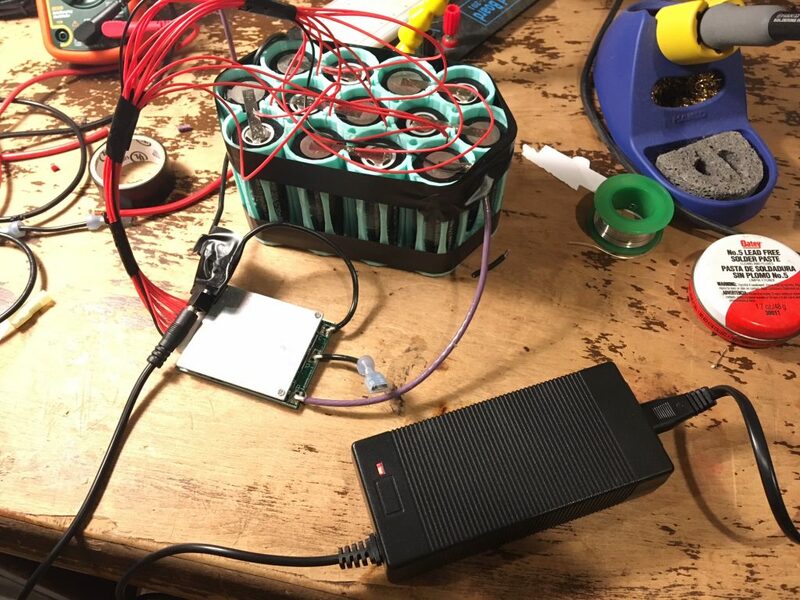 You have to make sure the cells NEVER go below the minimum voltage (2 V in this case) and never charge over the maximum voltage (4.2 V). They are also good to have so you balance the batteries when charging. It can charge any cell/cell group up to the same voltage so you don’t have any low values. The BMS is also useful in having a max current draw value, protecting the cells further from a short or too much draw. Nicer ones even include a temperature sensor or options to change the min or max voltage values. I picked up a cheap one on eBay for around $10. Bottom, cells welded together. The red wires are the BMS balance wires. Note how they came through the holes that go to the top. 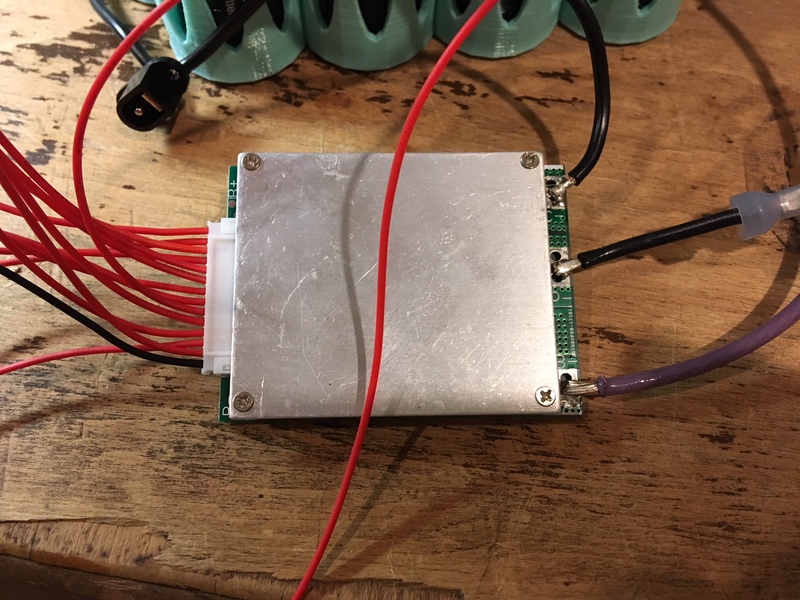 I at first tried to solder the batteries, but even at 800º F, the negative terminal had too much thermal mass to safely heat up. Thanks to Ruslan, again, we were able to use his battery welder to hook up the tabs I got from David (Thanks again David!). Ruslan did a great job and it came out much better than solder would have. The BMS wires are finally attached! Close up of the BMS charging wires and the spot welds. The Battery Management System (BMS). Limits the output to 30A, shuts off when the voltage goes below 2v per cell and controls charging/balancing the cells. A 13 Series (13S). The red wires are the balance wires. One goes to each positive terminal or bus. There are 13 in this 13S plus 1 black for the ground. 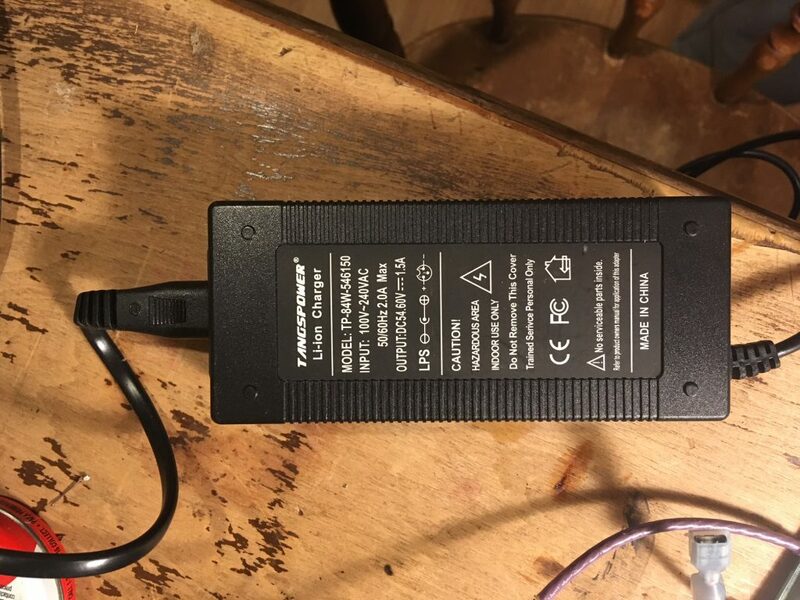 Close up of the charge jack. It will go in a holder in the top cap at some point. Finished, besides the top and bottom covers. Wrapped in electrical tape to hold wires until the caps are in place. Charge it! Charging to a full and balanced state. 24 lbs of lead acid batteries. After many years, I am glad to retire them! Closer shot of the original ones. Fitted for a test run! SOOO much lighter. Before I finished the cap and base, I wanted to make sure it would actually work. 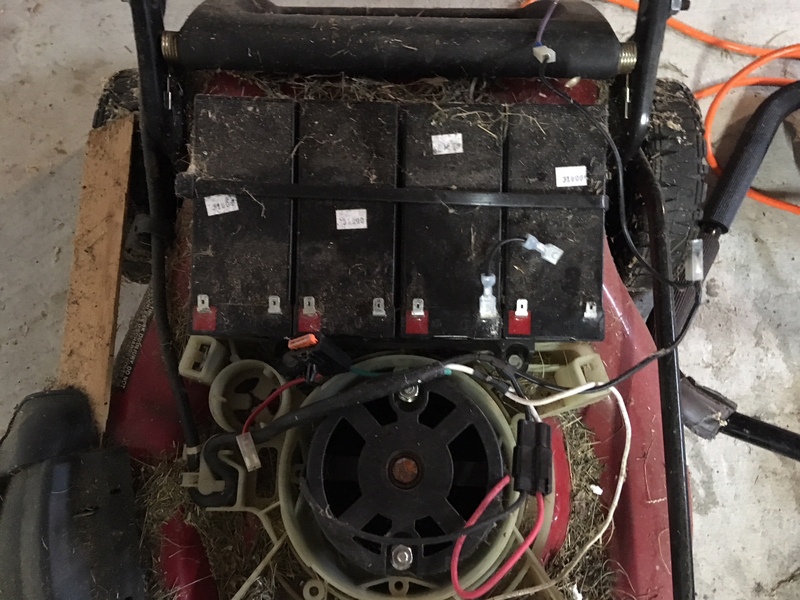 To do this, I charged the pack and hooked it up to my mower. It worked great! 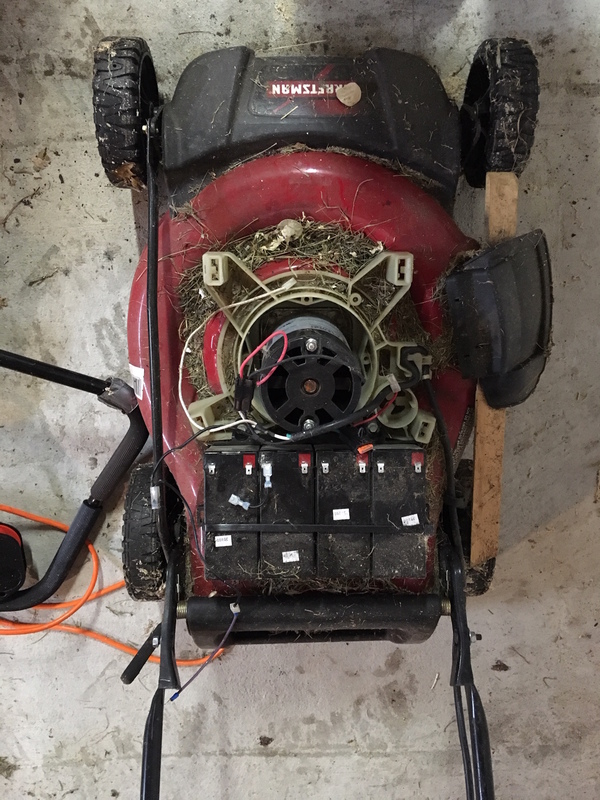 It seemed to have no issues running the mower and dealing with thick grass. I mowed my entire front yard and checked the temperature and voltages. Success! It ended up running for about 25 minutes and dropped to around 50% capacity, so plenty for my needs and better than I had calculated. All but the centermost batteries were cool to the touch and the center ones were only warm to hot. When I add a fan (part of the cap) it will allow air to flow even better around even the center cells. The BMS board was quite hot but cooled down within a few minutes after I turned the mower off. Next, I will print the bottom and a cap which will include a small fan and a state of charge indicator. 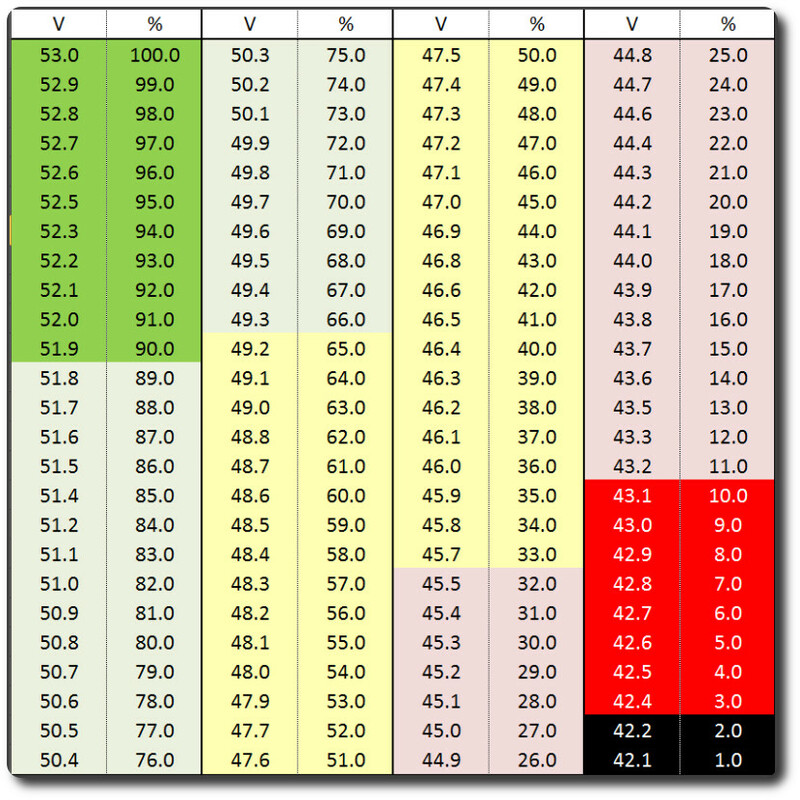 Handy voltage chart to find the state of charge. Mileage will vary depending on who makes your cells! I found this uncredited on electricbike.com. If you know who made this, let me know! 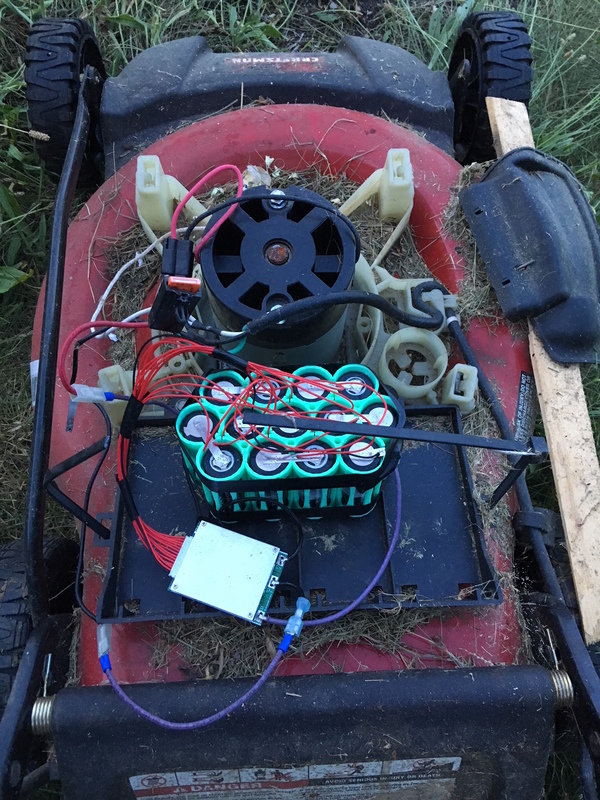 This entry was posted in 3-d printing, EV, House and Home, Projects and tagged 18650, 26650, battery powered lawn mower, electric lawn mower, Li-ion, OrbTronic, solar powered lawn mower. Bookmark the permalink.